Flat Daddy was one of three projects to be awarded funding in 2014 by Screen NSW via its Emerging Filmmakers Fund. The film is based on the short story of the same name, written by Louise D’Arcy, and winner of The Age Short Story Award 2010. Starring AACTA, AFI and Logie award-winning actress, Kat Stewart, Flat Daddy tells the story of an Australian military family and how a life-size cardboard cut-out of the absent husband and father becomes a source of obsession, rupture and unrest. 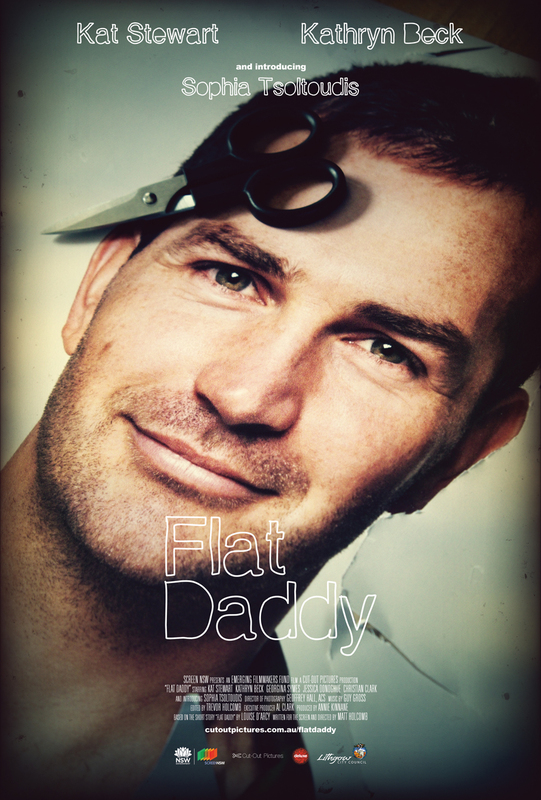 Flat Daddy was written for the screen and directed by Matt Holcomb, produced by Annie Kinnane and executive produced by Al Clark (The Adventures of Priscilla, Queen of the Desert, Chopper), and Kristina Ceyton and Samantha Jennings of Causeway Films (The Babadook).